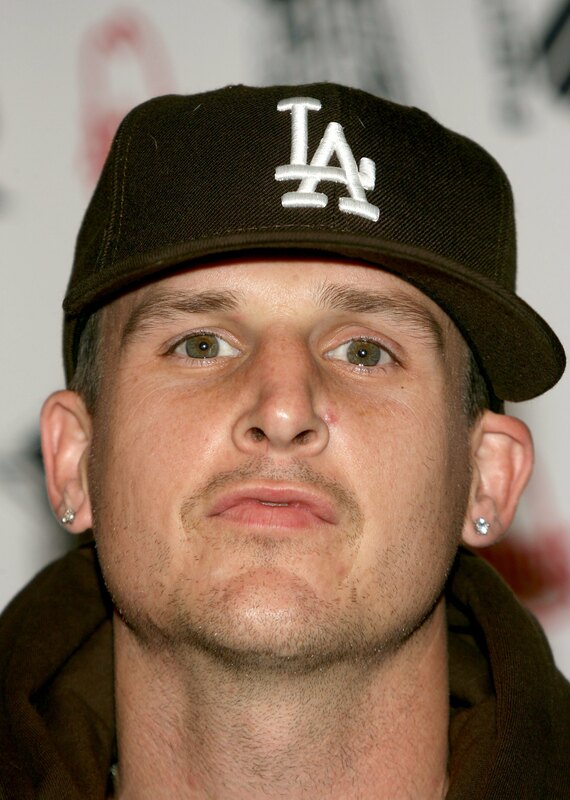 Rob Dyrdek may have been a professional skateboarder, he may have been a TV star, and he may have been a number of other things but he’s nothing less than an American entrepreneur. 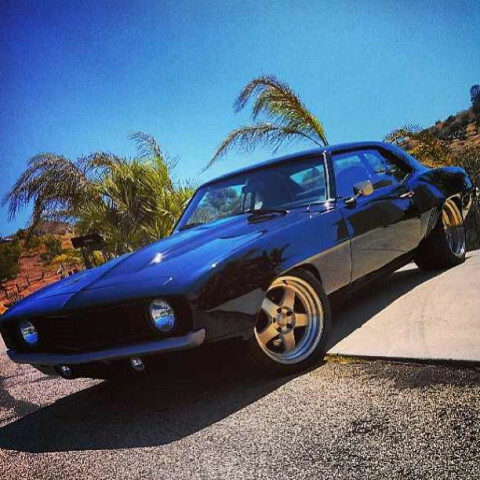 While building up amazing businesses from toy lines, to TV shows, he’s also collected a few nice cars including this 1969 Camaro which he recently sold. In terms of customizations, it’s hard to go wrong when you are building a 69 Camaro. 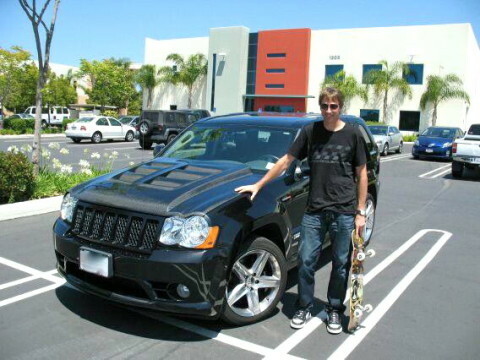 We’re big fans of Rob, love this Camaro, and can’t believe he let it go. 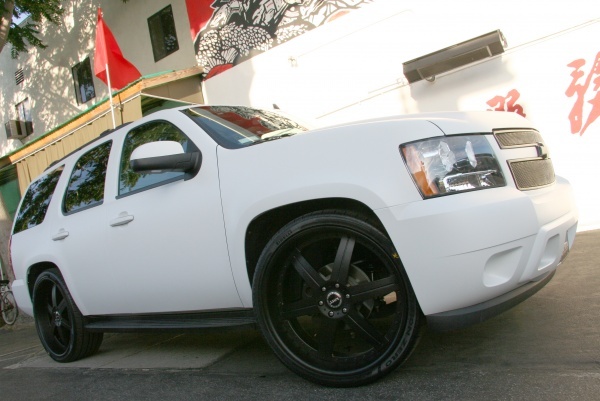 Here is Rob Dyrdek’s car – a flat white Tahoe customized by Platinum Motorsport. 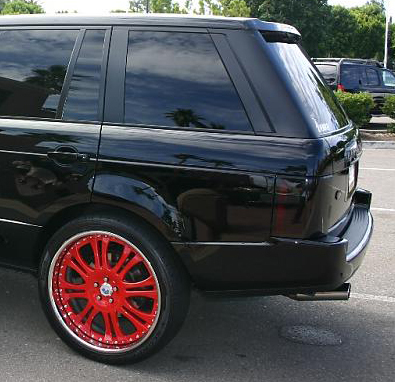 The rims are 26″ MHT LLC 6. Flat white is one of the coolest things you can do to a car. It looks amazing in person. I like the facts that the 26″ MHT wheels are flat black and give a strong contrast with the rest of the car. The wheels are a nice and simple 6 spoke design. The rear wheel seems to have a decent lip. 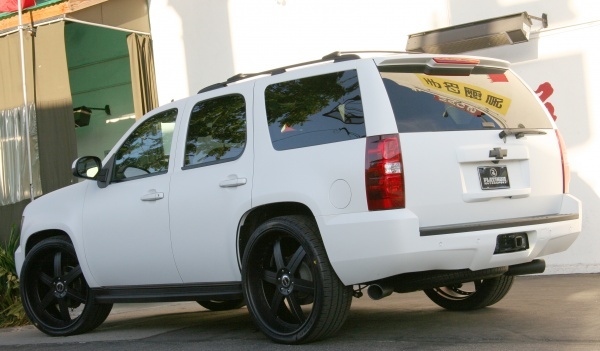 Suprisingly 26’s dont look too big on this Tahoe. Nice wheel, nice paint job, and nice fitment.